Evening cruise to experience sunset from the middle of the river. See Warsaw in another light, when nature prepares to night and city to party. This can be romantic cruise or slow beginning of party night. 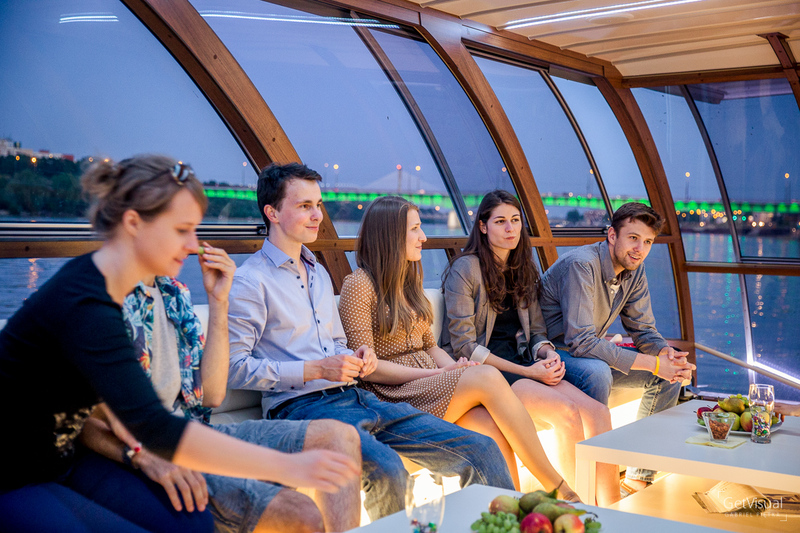 You can see some bridges with night lights, National Stadium, city panorama and more during this cruise. Attention ! 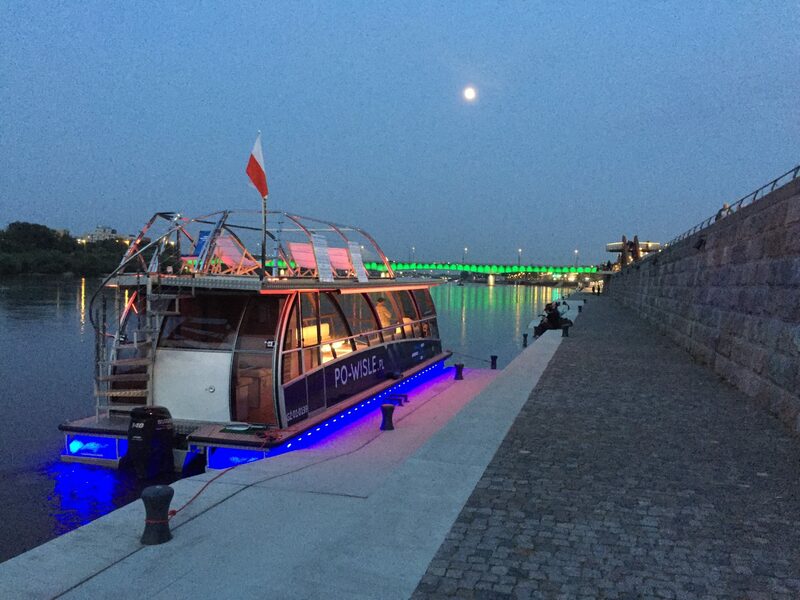 This cruise is ONE WAY to Port Czerniakowski (Solec 8 street) and is NOT returning back to Old Town . Port Czerniakowski is close to Ibis hotel, Torwar, Legia stadium and Łazienkowski Park. Upcoming evening cruises departing from our main harbour are listed below. Click on "wieczorny/evening" to enter selected cruise and buy tickets. See you on board !